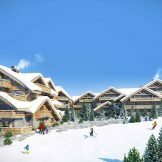 A brand new real estate project is for sale in the popular ski resort of Alpe d'Huez, boasting an incredible ski-in-ski-out location at the top of the village. 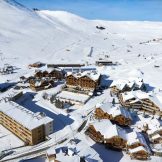 Nicknamed ’the island of the sun’ due to over 300 days of sunshine per year, Alpe d’Huez is one of the largest ski areas in France. 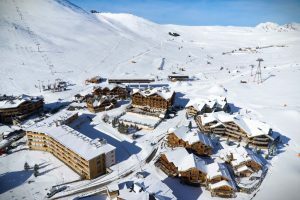 It is home to the Sarenne piste (16 kilometres of downhill slopes), and it is also a stretch of the Tour de France path. Summer skiing and a multitude of events hosted by the resort each year make it a popular destination for all sports fans. 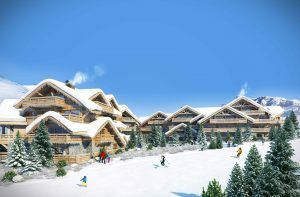 The upcoming project of connecting Alpe d’Huez to Les Deux Alps resort will enlarge its ski domain to compete with the international resorts of Paradiski, Espace Killy and even the Three Valleys. 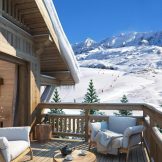 This is arguably one of the most attractive ski destinations in recent years, so do not miss out on this truly fantastic opportunity. 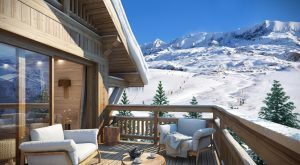 The location allows you to ski out directly from your terrace and offers some breathtaking panoramic views and thanks to its elevated location, you can admire the “Pic Blanc”, “Le massif des Grandes Rousses” as well as the village that spreads out below. 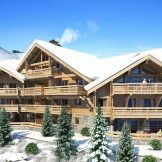 You can easily walk to the ski lift, the town centre, shops, bars, restaurants and local amenities, making these apartments an ideal place to be located. The apartments, ranging from studios to four bedroom duplexes, have been designed with a focus on functionality and wellness to provide as much comfort as possible to the future owners of a luxurious property. 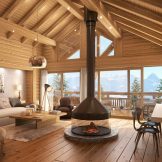 The alpine architecture of this project uses traditional materials such as wood, stone and slate which give the residence a truly authentic and unique charm combining tradition and modernity. 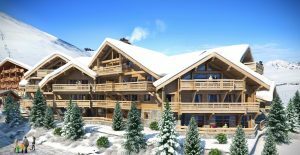 All of these apartments include large balconies and there is an opportunity to add an extension to the living room or have a terrace for those located on the ground floor. 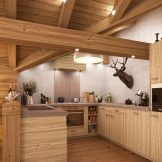 The apartment interiors retain a warm mountain feel with oak parquet flooring and beautiful fireplaces that can be found in most of the units. The Italian kitchens and the bathrooms in these homes are fully equipped and benefit from high-quality tiles matched to their design. 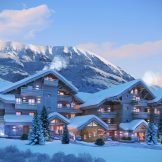 The project offers underground parking for all apartments, as well as a private cellar, a ski locker with boot dryers and there is a self-service sports gym. A guard is also present at all times and the entrance is secured using videophone and code entry system. Due to the project's superb architecture, the high quality finish of the properties and its fantastic location makes it a unique investment opportunity for anyone looking to purchase a property in an up-and-coming resort. There are studios to four bedroom duplex apartments, from 37 to 165 square metres, priced from just 315,000 up to 1,640,000 euros.